Sarasota Yacht & Ship is a yacht brokerage based in Sarasota, FL. We are heavily involved in the boating community in Florida and nearby Caribbean Islands. After hearing of Irene’s aftermath in the Bahamas, we were compelled to assist our neighbors. 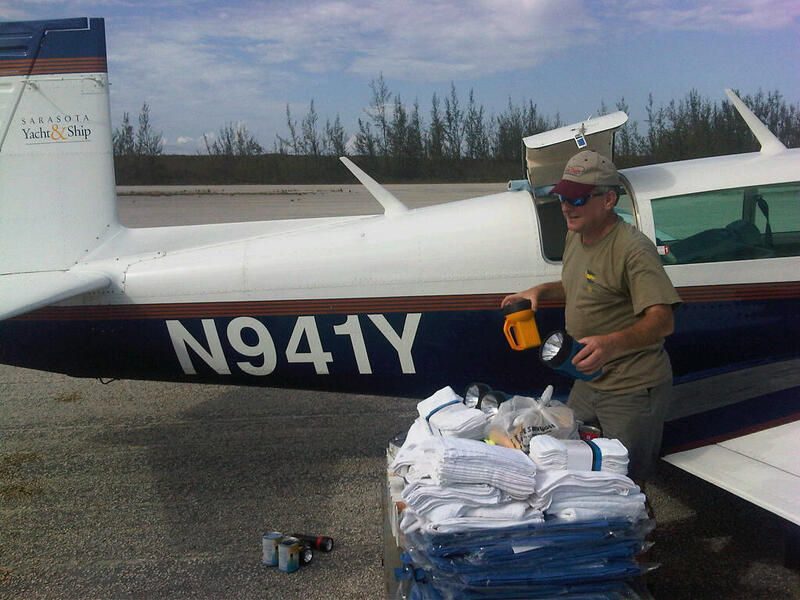 On August 28th, in our private M20J Mooney, we flew down to Cat Island with water, food, tarps, dry goods and supplies to provide immediate relief to as many of the island’s nearly 2,000 residents as we could. (click here for the full story) Immediately, we recognized how overwhelmed the Bahamian Government is in their disaster relief efforts. Many people did not have access to water and food. Leaving Cat Island after providing short-term relief to a few was bittersweet because we knew there were so many more we did not reach. As boaters we love the island culture the Bahamas has shared with us and we plan to stand by our neighbors. We are not affiliated with any other organizations and are not looking for anything other than to help the people who have welcomed us, and maybe you too, to their island homes, time and time again. We guarantee the contribution you can make will go directly to the people who need it most. A very special thank you to the Florida Yacht Brokers Association for their support in our relief efforts!